Sure, you can use any DNS. The point is to have awareness that a DNS is a vulnerability that can be exploited to redirect your URL destination. While privacy is always a concern, one should consider the fact that Google does have and use massive resources to keep their DNS clean. I had been spending sometime trying to figure out why by the url entered (bbc.com) was taking me to a smartdns sign up page to pay for a VPN solution I had used on a trial basis. As you rightly pointed out, google searches takes one down a route with multiple pages of "do this, then do that, etc". By pure luck I landed on your page which solved my issue. For the trial period, I had to update the primary and secondary DNS settings to what they wanted me to use. I went to my network on my PC – change adapter settings, then Internet Protocol Version 4(TCP/IPv4), click on properties and then changed to "Obtain DNS server address automatically", click on OK. My bbc.com is now working just as it was before the SmartDNS trial. Thank you for this page. Saved me a lot of headaches and browsing pages looking for a solution. 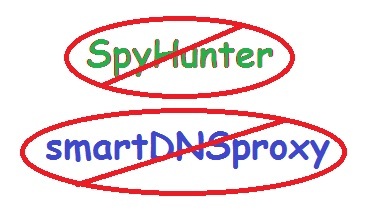 Based on my experience I would suggest avoiding to sign up for a SmartDNS VPN trial ! Thank you thank you been trying to fix this for 2 weeks now! But I have already paid for 2years smart dns proxy, and I'm already signed in – they redirect me to their sign-in page again, and I cannot get BBC radio! I don't even need the vpn to listen to the radio online, so I don't need to sign in for that, but it doesn't give me the option, and I'm going around in circles trying to bypass a SECOND login page! Seems like I have to change those IP settings every time I want to use the vpn, (to watch UK TV-if it will let me), then change them back again when I want the radio – I'm wondering if it is really worth the trouble. Not sure I'll renew the subscription next year. Thank you very much, your article is amazing and saved my life.